Disclaimer: I’m promoting Key West Half Marathon & 5k as part of being a BibRave Pro. 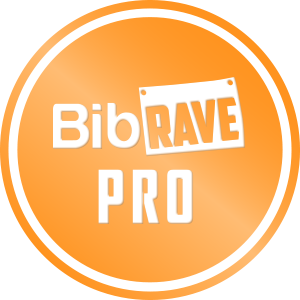 Learn more about becoming a BibRave Pro (ambassador), and check out BibRave.com to find and write race reviews! Anyone who follows me on the socials knows how much I hate winter, and snow and ice and cold it is all terrible. Having to run on the mill or worse not run at all because of the weather is just awful. So what do you do to get away??? Travel to a race, or a racecation as the cool kids call it, and man do I have a great race for you, The Key West Half Marathon and 5k. Yeah, that seems so much better then 20 – 30 degrees and snow, right, right. So go click on that link and register for the race, also use code BIBRAVE20 to save 20% off the half. Enjoy the warm weather, parties, great food and not being in winter for a bit and go run the Key West Half and 5k. It’s that time of year, Holidays, New Year, time to go over how 2018 went and what my goals for 2019 are. Won’t lie I love these posts cause, man, I love planning things, especially travel, and I did lots of that in 2018, hoping to do even more in 2019. Birmingham, DC and Richmond were great too, especially DC, that is easily one of my favorite cities and I would go back all the time if I could. So that is the summary of 2018 and the goals for 2019. I am already on my way to working on the 2019 goals, I am pretty excited for what this new year brings and can’t wait to see more new places, I hope I can meet some of you along the way. Well, this was the hardest race, and not because it was hilly or a tough course, my leg just wasn’t having it. Around mile 15 my hip was on FIRE, so I ran/walked from then until about mile 25, when I made a friend and was able to run until the end. A 6 hour marathon was not what I was hoping for, but it is what I got. I did learn I can push through a lot and that I will fight hard to finish, but I start PT tomorrow and hope to never ever have a race like this again. As for the overall Race, it is so nice, they call this the friendliest marathon and I agree. Richmond itself is so easy to get around, and their are tons of local restaurants to try. The expo is small, but still has lots of stuff to see and do (they did have a beer tasting) getting your number is quick and getting all your swag is easy too. Everyone was smiling and it was nice. Also the expo has tons of parking so no need to worry about that. Race morning, TONS OF PARKING like, there is no need to worry there is so much parking. The start line was easy to find, and got into my corral, made a friend there too. The weather was perfect, like couldn’t ask for better race weather. The race itself is so nice, some hills but nothing crazy, running along the James River is just stunning and they had Bands and Djs all over the course. There were also cheerleaders, and plenty of people to cheer you on. The neighborhoods are fun to run through will lots of junk food stops and extra water (also some booze if you’re into that) The finish is down hill, and I mean steep down hill, but that felt nice. And the after party is in a nice park, with plenty of room to move around. If you park near the start line, there is a bus to take you back there. They really did think of everything. I would totally recommend this race, friendly, fun and mostly flat. Plenty of parking, and the city itself is super easy to get around with lots of fun things to do. Lars and I went to check out Hollywood Cemetery the next day and enjoyed that. So state 20 is done, and there will be no more races in 2018, as I work on making my leg better so I can crush my goals in 2019. As everyone knows I have been training to run the Richmond Marathon this coming weekend. I was hoping to run a 4:30 marathon, a big PR for me. Uh oh, was, yup was, about 2 weeks ago I started getting sharp pains in my calf, don’t know why, but it has made running difficult. I am spending my last week on a bike and foam rolling and stretching as much as possible. I am still running, and god I hope I surprise myself and get a PR, but right now, I want to finish, that is my goal. Of course if the pain is too much, then I will stop, I don’t want to destroy my leg, as I have goals for 2019 and I will accomplish them. I have signed up for PT starting after the race, I am going to get better and I am going to rock 2019 and on I am not done. Just wanted to let everyone know what is going on. Also, if you want to track me on Saturday, Richmond has an app, and you can look me up to see how I do and cheer me on. My bib number is 5361.